I discussed the Duchess of Sussex’s recent fashion choices with the Daily Express. In recent months, Meghan has worn a number of dresses with pockets and I speculated that she may be subtly encouraging the fashion industry to provide more functional clothing for women through her fashion choices. 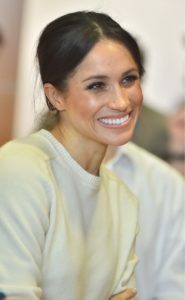 ← Daily Express Interview: Meghan Markle: What was Meghan’s New Zealand symbol on her wedding veil?